In the past decade, the plight of the honey bees has become a very important issue, and rightly so, as they play an essential part in the growth of crops and produce. 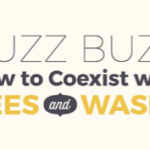 Many do not realize that bees aren’t just there to produce honey. They also play an important part in pollinating surrounding crops. One way in which we are affecting the bee population is through the use of chemical pesticide. As tempting as it is to use such a method to eradicate pests in your backyard, it should be noted that not only is pesticide harmful to the bees, they are also harmful to you as well. If you are a gardener who wants to use a natural method to control pests then consider using beneficial insects instead. As the name implies, beneficial insects are bugs that can help eradicate common garden pests without doing any damage to your garden produce. Not all insects are bad. 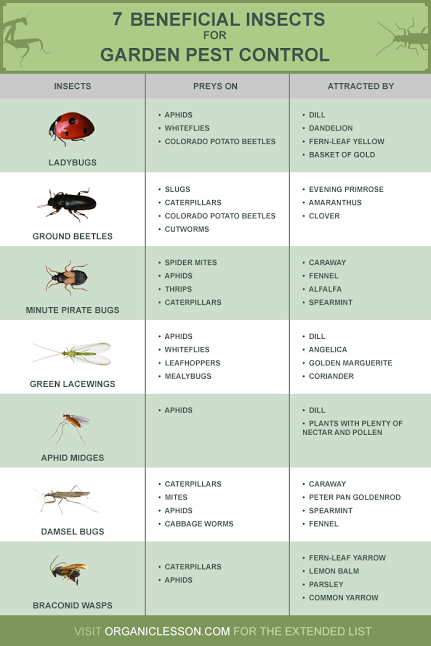 There are many such as those listed in the infographic that can be very effective at getting rid of common pests like aphids, caterpillars, and mites. Who knew the beautiful ladybug could be so effective at getting rid of aphid infestations in the garden? Outside of being an organic choice, using beneficial insects can also be a great way to save money. Chemical pesticide is only going to get more expensive moving forward so why not use a method that takes advantage of the existing natural resource around you? If you are lucky then some of the beneficial insects could be native to the area you live in so all you have to do is to make your garden an attractive area for them to roam. One final thing to keep in mind is that there really isn’t a way for pests to resist. According to the Pesticide Action Network, more and more insects and weed species are developing resistance against pesticide. With beneficial insects, however, the pests are being eaten so they have nowhere to go but to their doom. If you are a gardener or homeowner with a backyard then take action now. 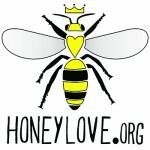 Help sustain the local population of bees in your area before it’s too late. Even if you don’t own a garden, you could still play a part by educating others around you.